Once an emergency strikes, the clock starts ticking fast. There is no time to think and barely any time to grab everything you need. That is why being prepared is crucial. You may not know when an emergency will happen, but you sure can stock up on all the necessary food items and deal with any extreme or unforeseen circumstance worry-free. Gathering everything you need and thinking of every single detail may seem like a time-consuming task. Luckily, with the survivalist movement on the rise, there are more and more one-stop shops that allow you to stock up on all the necessities in just a few clicks. Our experts have singled out the top prepper helpers on the market that allow you to have great food in stock for anything from a camping trip to a nuclear disaster. Here is our list of the best emergency food supply companies. And now, without further ado, here is a detailed view of our top 5 picks. Main Features: Offers a wide range of food items for various dietary needs. Order kits with enough food for a month, 3 months, 6 months or a year or customize your own kit. 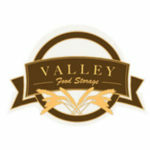 Valley Food Storage is a company committed to quality above all, with a vast array of healthy food supplies. You can choose between fruits, vegetables, meats, entrees, milk, cheese, and full meals. The products do not contain any GMO ingredients, MSG, trans fats, or preservatives. The shelf life of the products is up to 25 years. You can also find supplies for water purification, filtration, and storage, as well as other useful gear. The company takes great care of the special dietary needs of its customers and offers gluten-free, non-GMO, and dairy-free products. The products come with detailed descriptions, including complete nutritional information. Free samples are available for those who wish to sample the merchandise before purchasing. Shipping is free for the lower 48 US states. Shipments outside this area are made upon request and come with additional costs. In case there is something wrong with your delivery, you can get a refund within 30 days after the purchase. The company also offers great discounts and plenty of coupons, as well as bonuses with certain purchases. If you are a fan of creative gifts, you can find some of the most interesting gift items for various occasions at the Valley Food Storage store. Main Features: Offers a full range of supplies for emergencies and survival. Purchase food supplies for time spans ranging from 72 hours to 12 months, with 16 to 4320 servings. 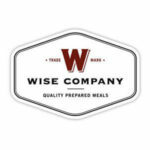 Wise Food Storage boasts one of the most varied offers we have encountered. It offers both freeze-dried and dehydrated food, including dairy, eggs, meat, fruit, vegetables, and meals, as well as drinks. The shelf life of these food products is up to 25 years. The company also brings you water filters and storage, non-hybrid seeds, and various fuels, stoves, and more, so you can easily prepare your food under any circumstances, have sufficient supplies of drinking water, and even grow your own food. An entire section of the Wise Food Storage shop is dedicated to gluten-free food storage, with nearly a dozen of great kits and packages. All items come with detailed information on the content, as well as nutrition facts. If you want to taste the goods before purchase, you can request a sample. 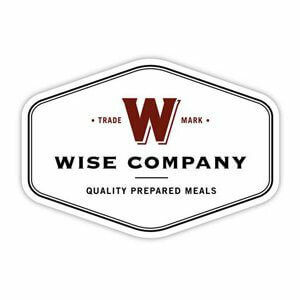 Wise Food Storage ships worldwide, with shipping costs varying depending on the location. In case you are not satisfied with your order, you can return it within 90 days and get a refund. You can save money on your orders with various discounts and the company’s amazing rewards program. If you want to send someone a handy gift, you can opt for one of its gift cards. Main Features: Offers everything you need for a varied diet in case of an emergency, from soups and entrées to drinks and bake mixes. Get food kits for emergencies lasting from 72 hours up to 1 year, for 1 to 40 people. 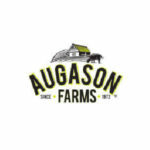 Augason Farms is an emergency supply company with a long tradition, known for the quality of its products. The company offers over 400 different freeze-dried and dehydrated food products with their shelf life ranging from 1.5 to 30 years. You can purchase individual cans of fruit, vegetables, meat, dairy, eggs, various basic ingredients, and other products or opt for meal kits that include various dishes as well as survival supplies. For customers with special dietary needs, Augason Farms offers dozens of gluten-free and vegetarian food products. Each item comes with full nutritional information, including calorie count, allowing you to keep an eye on your intake of valuable nutrients. Augason Farms ships all over the country, with the exception of Alaska and Hawaii. Shipping is free for orders over $200. For any order under that amount, shipping costs amount to $9.99. If you want to try out their products before making a purchase, you can order free samples. The company offers regular discounts, so you can save money on your purchases. If you want to surprise a fellow survivalist or buy a useful present for your loved ones, you can purchase one of their e-gift cards for various occasions. Main Features: Boasts a wide range of both precooked meals and ingredients for your pantry. Stock up on certified non-GMO and organic food for camping and natural or unnatural disasters. Honeyville brings you high-quality, natural food in individual and combo packages with a shelf life of up to 15 years. With as many as 10 different product categories, ranging from bakery items to soy TVP products, the company provides food that covers all of your dietary needs and suits a vast range of dietary preferences. 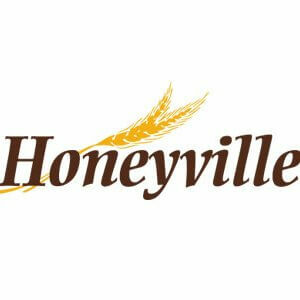 Honeyville also features useful emergency tools and supplies and various cooking gadgets and gear that can come in handy on any day of the week. When it comes to special dietary needs, the company offers products suitable for people who are on a gluten-free diet or those who only eat organic food. Although Honeyville does not feature a special vegetarian section, it does offer a number of delicious vegetarian-friendly products. The products come with detailed descriptions, including instructions, allergen info, full list of ingredients, and nutritional information. Honeyville ships nationwide and the shipping costs are $4.99 for all states in the contiguous US. Deliveries to Alaska and Hawaii come with additional costs. The company has excellent referral and rewards programs for their members. The membership is free of charge. On top of that, you get to enjoy the benefits of their 60-day refund policy. Main Features: Great selection of food items for all meals of the day. Get 2 to 14-days’ worth of food supplies. Mountain House is a food supply company with a long history in the business. Unlike many other companies of this kind, this company exclusively focuses on providing meals, ranging from breakfasts and entrées to desserts, both in individual packaging and buckets and kits. What is interesting is that you can order military rations the company makes for the United States Armed Forces. The shelf life of this company’s food products is 30-50 years. There are no particular sections with food for special dietary needs, but there are items that satisfy the criteria for certain restrictive diets and almost every item is nut-free. The products come with all the necessary information, including nutrition facts, a full list of ingredients, and allergen info, as well as preparation instructions. Among other information, you can find out whether the product you wish to order is gluten-free, dairy-free, soy-free or suitable for other special diets. 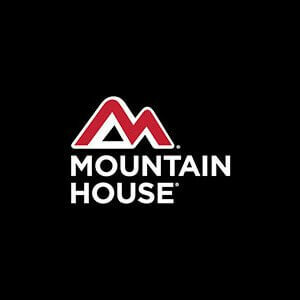 Mountain House products can be purchased online, on the official website, or directly from the shops and dealers. The company ships nationwide, with free shipping for orders over $99. The products are shipped via FedEx, with the possibility of expedited shipping. When it comes to their return policy, you can only return merchandise with defective or damaged packaging. We hope that these concise descriptions of our featured companies have provided you with sufficient insight into the basic aspects of their offers. All of them are unique in their approaches to the business, which may make it harder for you to compare their offers, with so many differences that set them apart. However, we believe that this amazing variety is what contributes to their suitability for the widest range of customer needs. If you are wondering how to choose the best company for your needs, here are a couple of extra tips. All of these companies boast incredible quality, which means that no matter which one of them you choose, you get to enjoy the comfort of knowing you have purchased excellent merchandise that can last for a long, long time. However, there is a multitude of other factors to keep in mind when making your decision. First of all, you need to see which one offers the kind of food you like and normally eat. This is especially important in case you are on any kind of special diet. Next, you should choose the one that offers food with a long shelf life, so you do not have to deal with a whole lot of waste in case the food goes bad before you get to use it. Finally, choose the one that offers the most suitable kits for you and your loved ones and the emergencies and activities you want to prepare for. Before you make your final decision, be sure to check out our full reviews of these top-ranked companies. Once you pick your favorite, you can finally be prepared for whatever life throws your way. Remember, life is so much better without stressing about what tomorrow may bring. Get your ticket to a stress-free life today!